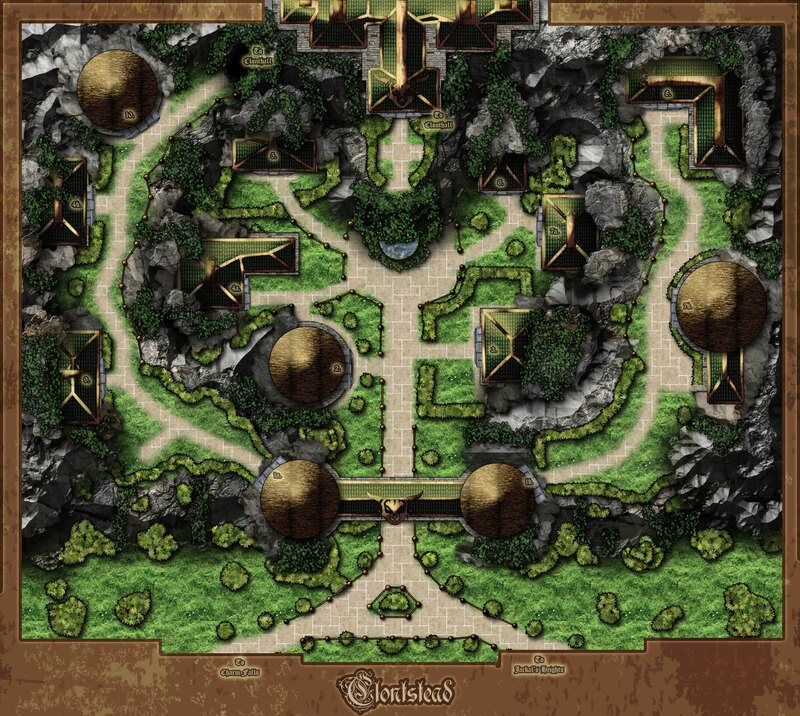 The first true “Town” made for the Boarhardt Campaign, intended for shopping, stealing, and crafting between the Sanctuary Vale arc and the Genevian Highlands arc. Clontstead is the hidden refuge of the Clont, a race of large humanoids that tell bold tales of their adventures and generally leave home at a young age to travel the world. Clontstead is one of the reclusive refuges where they return to to tell the tales of their adventures and honor their ancestors. The Clontstead Keep was never finished as players never had an opportunity to visit it. Hopefully in a future arc we will have a party return to this corner of Falleron to explore the palace of the Clontish people.